2. Apply MAC Extra Dimension Eyeshadow in Legendary Lure all over the lid using a flat eyeshadow brush. 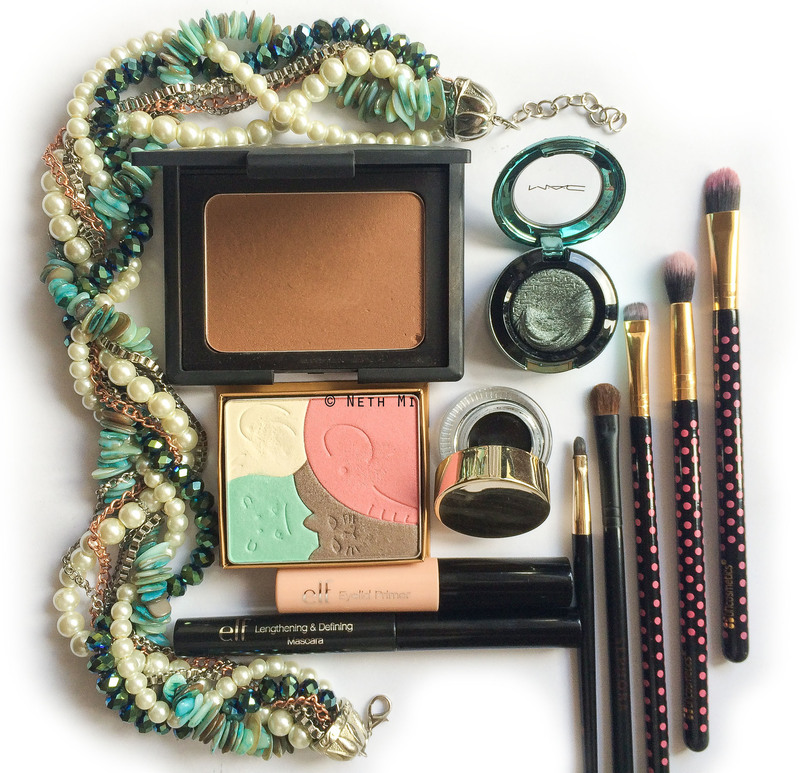 (The one I’ve shown here is from summer 2014 Limited Edition Collection- Alluring Aquatic. But this shade is now available as a permanent shade with regular MAC packaging) Legendary Lure is a beautiful deep greenish cerulean that actually has a lot of dimension when applied on the lid. This product was quite pigmented compared to other MAC eyeshadows. 3. 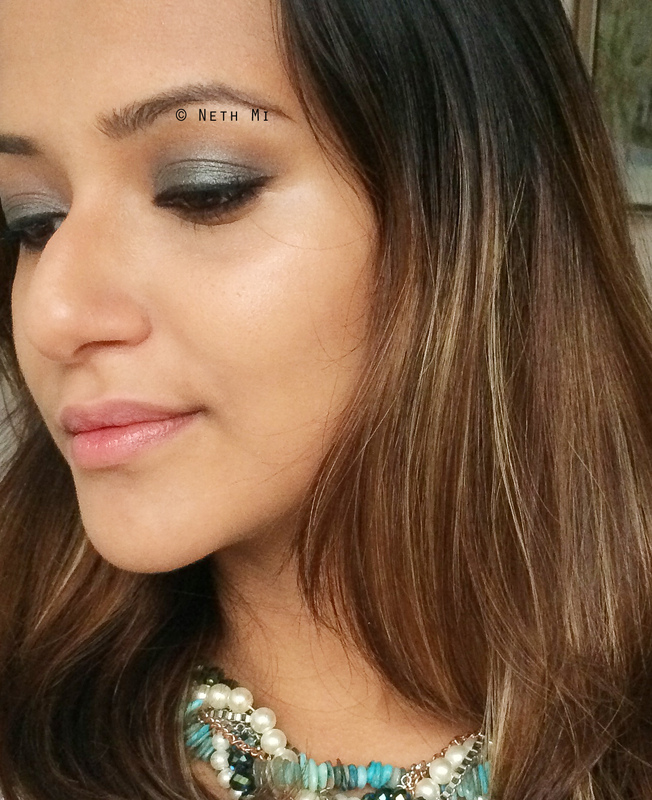 Using a smaller eyeshadow brush, apply your favourite bronzer on the crease. This is your transition shade. (I used NARS bronzer in Casino as this is a beautiful warm brown that blends well into my skin tone.) Take a clean blending brush and blend the bronzer with Legendary Lure until you don’t see any harsh lines. You can add more bronzer to the outer corner to give more contouring. 4. For the brow bone, use a matte off-white eyeshadow as we already have a sparkly lid. (I used Paul & Joe’s Elephanteau Eye & Cheek palette‘s white shade) You can use a shimmery white if you want the whole eye to be shimmery. 6. Taking a short, flat & stiff brush, apply some of the bronzer right next to the black waterproof liner on the lower lash line and blend well. This will make the look super sultry. I wore a simple black dress by NEXT with a beautiful statement necklace that matched my eyes, from Backstage. such a pretty look *_*!